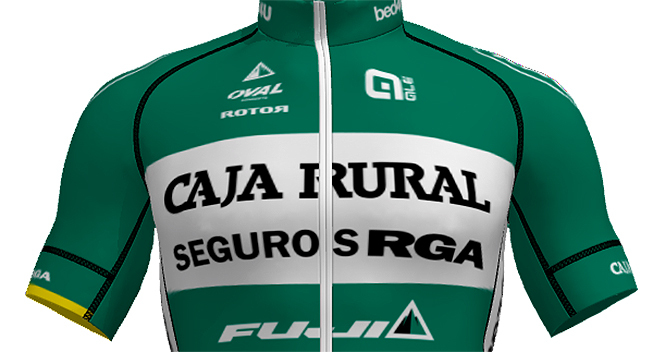 It was an accident-filled day for Caja Rural-Seguros RGA riders, both in Andalucia and in Algarve. The team’s seven riders were involved in the mass crash that took place in the final part of the race. Sergio Pardilla, Huge Carthy and Eduard Prades managed to avoid the fall but were still held back by it. Ángel Madrazo, David Arroyo, Pello Bilbao and Francesco Lasca were not as lucky as they did actually crasj. Arroyo and Lasca were worse off than the others and had to have wounds treated and stitched, Arroyo even broke his helmet with the fall. Eugenio Goikoetxea, the team’s director said: “It’s bad luck, we were doing very well but this happens in cycling, some fell and others were delayed right at the end, which resulted in the entire team being affected. Lets hope this bad streak ends so we can start a good one. Let's see how we recover from our wounds and injuries so we can give it our all in what is left of the vuelta, hopefully if the peloton lets go in a mountain stage we can take advantage of that opportunity”. It was a relaxed stage, although an unfortunate one for the Caja Rural-Seguros RGA team in Portugal. The team’s chances for the general classification remain intact. Josemi Fernández, the team’s director, made the following comments on the stage and made his predictions for the next one: “Very relaxed stage, with a controlled escape by the peloton. For our part, Omar [Fraile] got a flat tyre in the final stretch and Ricardo Vilela took a tumble in the final kilometre. Luckily it wasn’t too serious and, as he was within the security zone, he didn’t lose any time. In conclusion, we managed to save the day. The next stage is longer and the final 50 km will be a difficult one for escapes, there is no notable climb but there will be a terrain that rises and falls and promises to be dangerous, especially in the final descent. Omar and Ricardo already completed this stage last year and they did very well, hopefully we’ll be lucky”. The team’s three injured riders, Javier Aramendía, Amets Txurruka and Carlos Barbero, are progressing favourably. Barbero should be the first to be back at the team’s disposal very shortly.